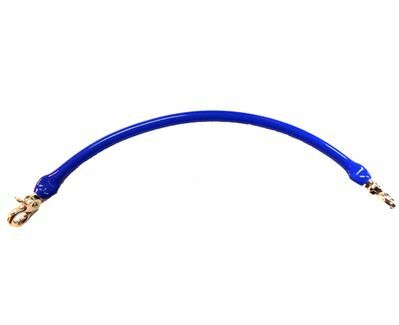 Official Bike Tow Leash brand coupler accessory. 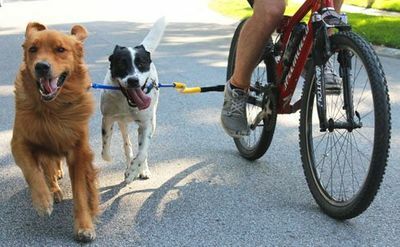 Ride with a second dog attached to a single Bike Tow Leash. Attaches second dog's collar to same collar ring as the Bike Tow Leash. Stiffened for excellent communication and positioning between dogs and bike and to prevent tangling. Swivel clips provided on both ends. Comes with additional multiple dog riding instructions. Reduces paw pad wear because it automatically provides loose-leash reward for proper positioning versus pulling away from each other.